In some cases, you may want to send out a single email to a customer with a personalized message rather than messaging a longer list of customers. 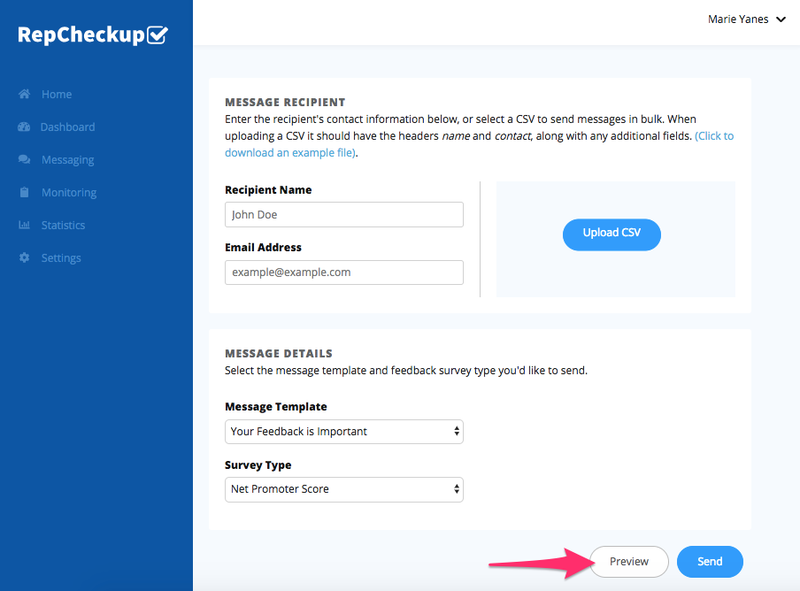 Sending out a single message is a quick and painless process that closely mirrors the steps you go through when sending a message and survey to a CSV list of customers. Navigate to the organization and location that you want to send the messages from. Once you open the Messages section, you will be given multiple options as to how you’d like to send out the messages. 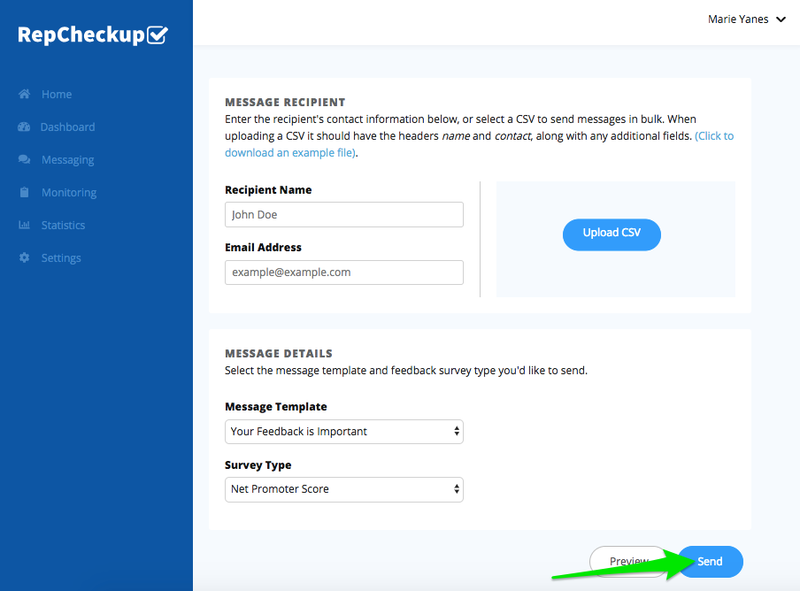 Enter the information for a single message recipient or upload a CSV. If you’ve selected a single message, you can enter their name and email address. 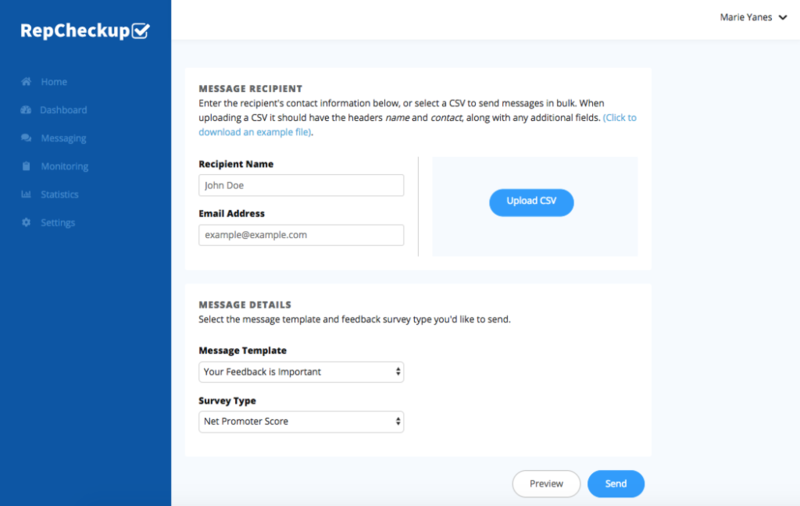 Select which template and survey type you’d like the customer to fill out.